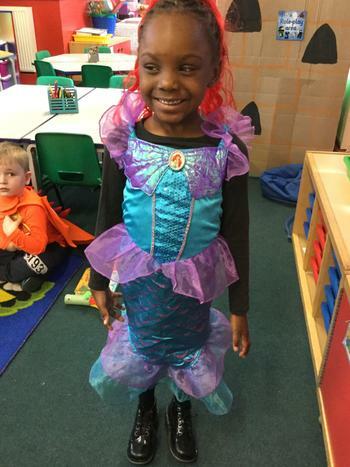 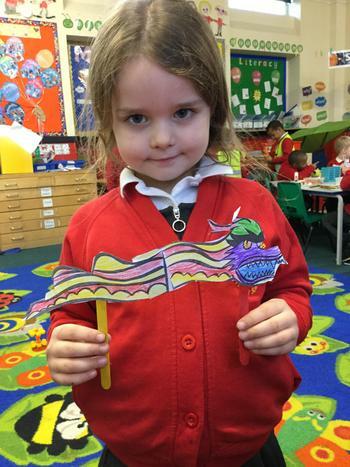 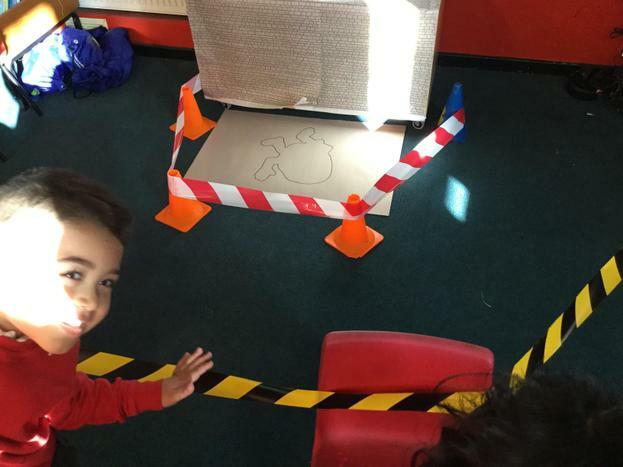 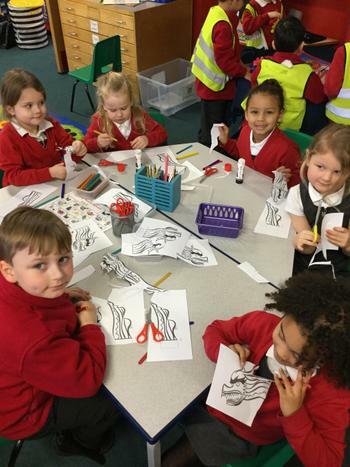 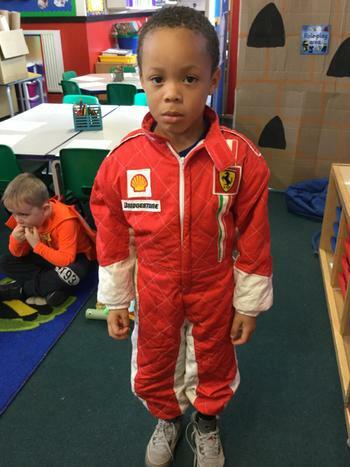 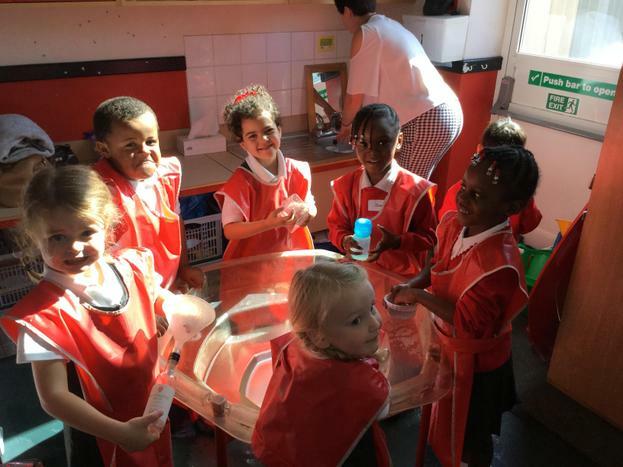 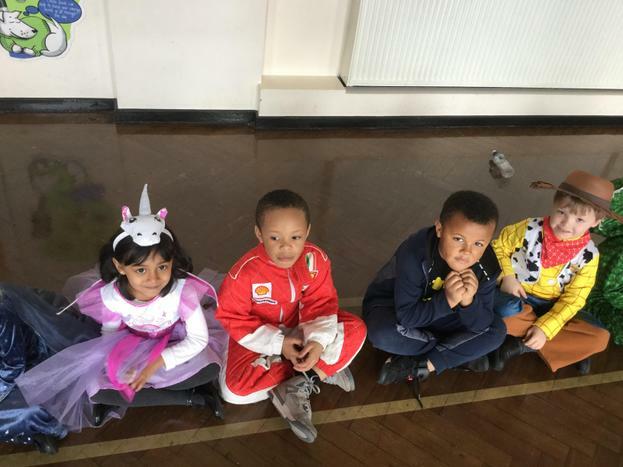 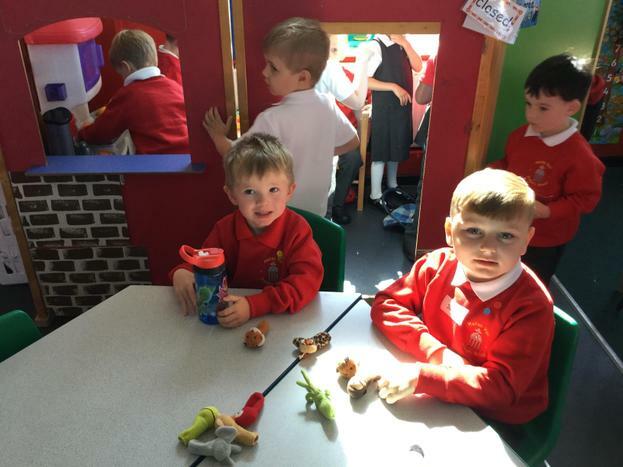 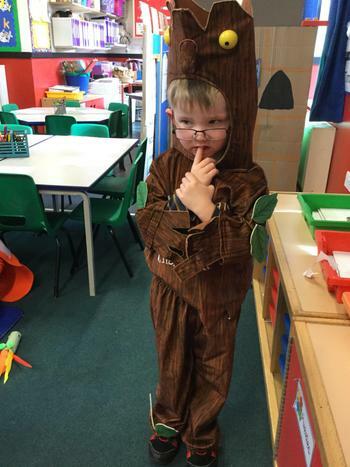 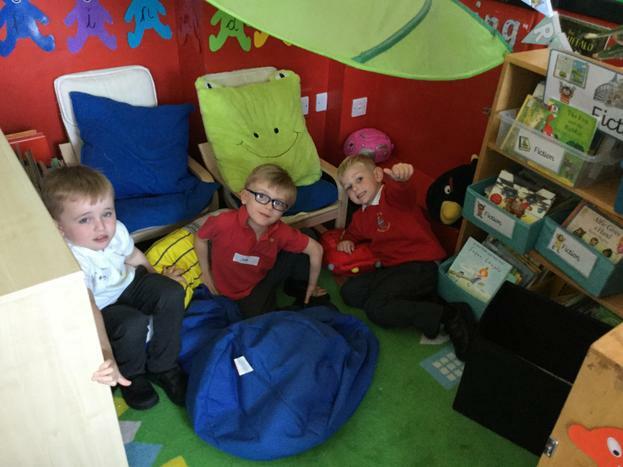 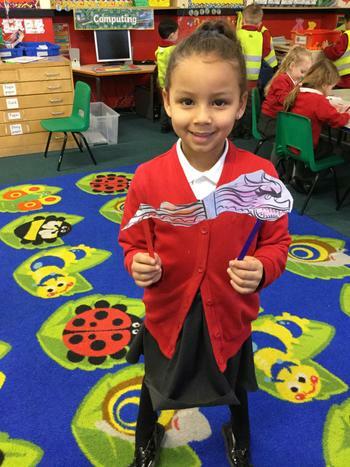 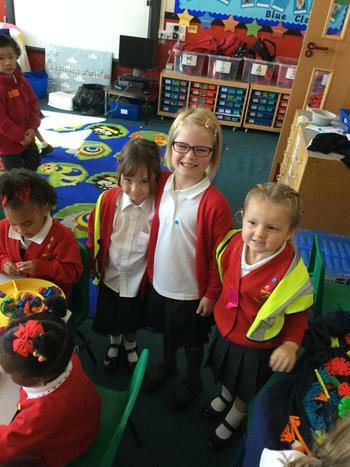 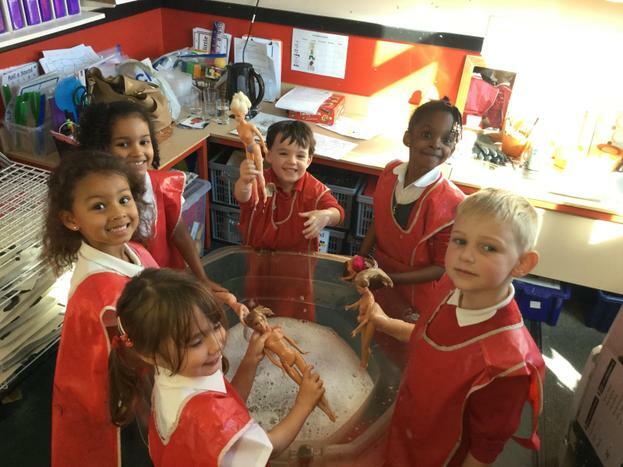 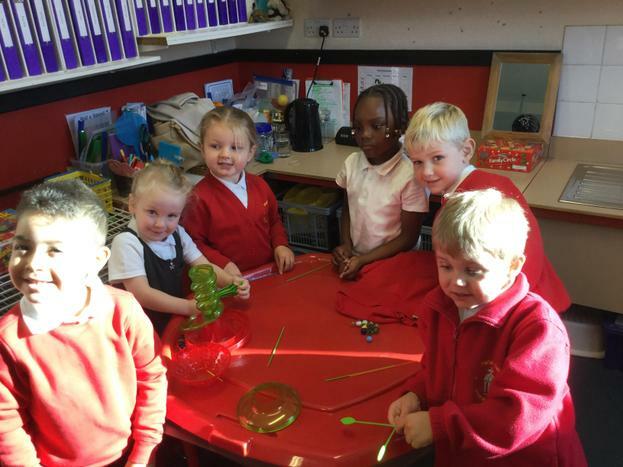 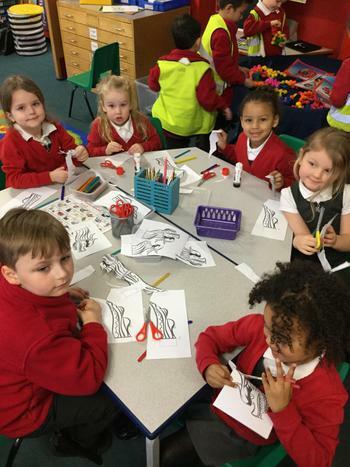 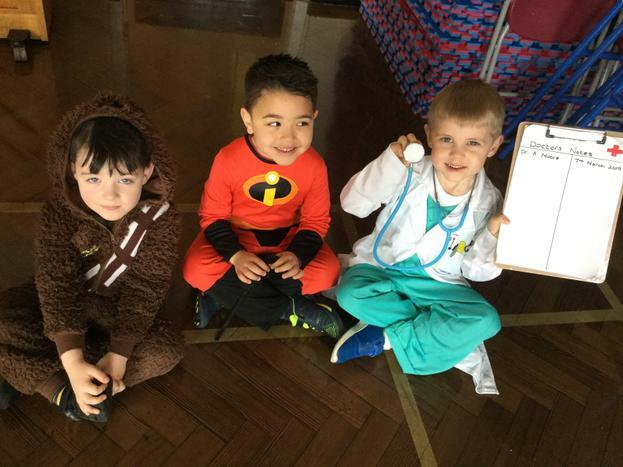 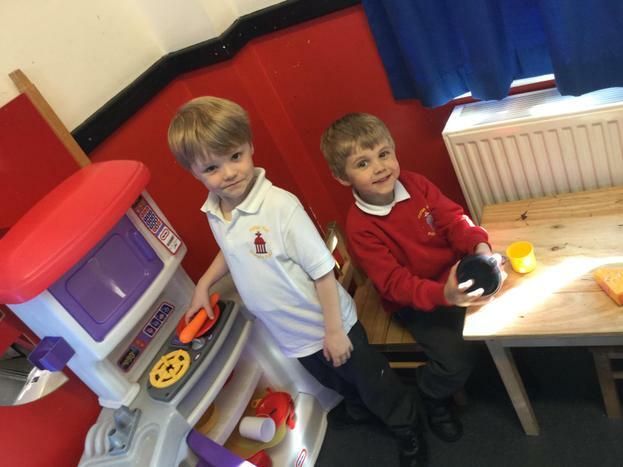 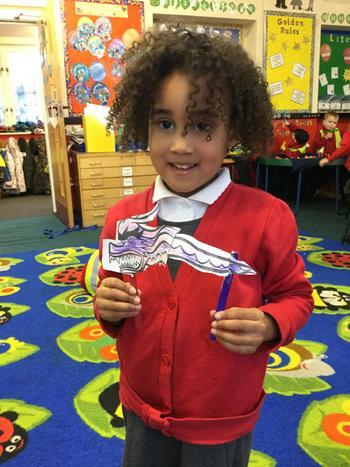 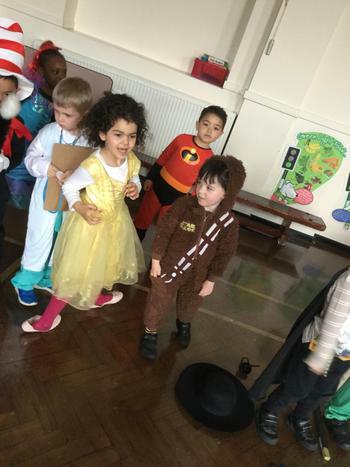 Here you will find a snippet of the fun things we get up to throughout our time in Reception. 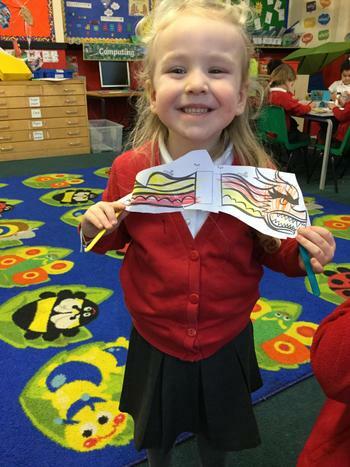 We hope you enjoy looking at the photographs and sharing the memories with us. 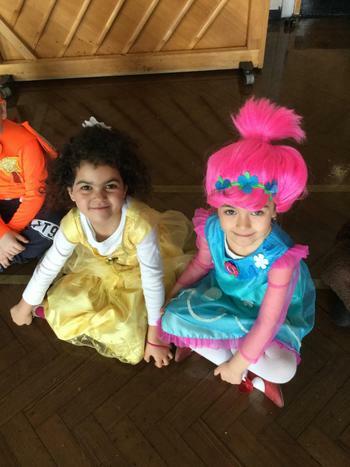 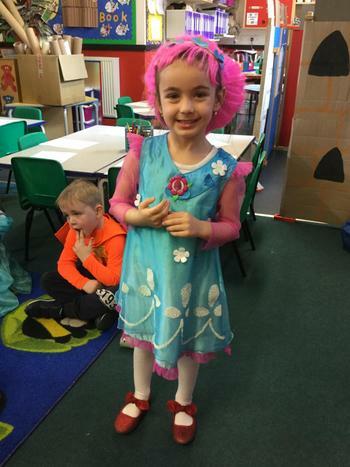 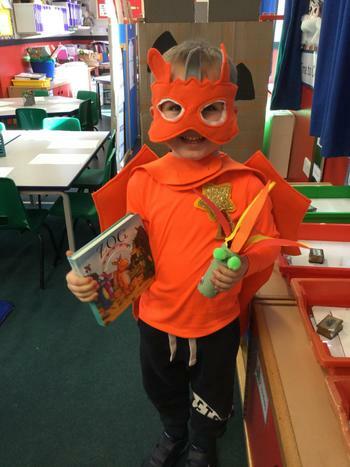 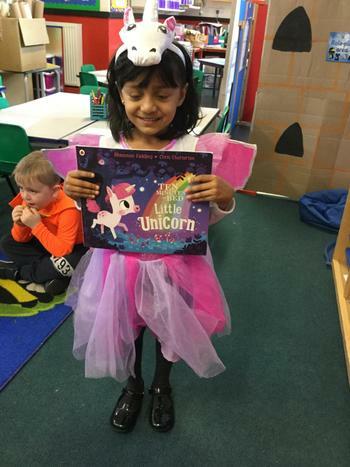 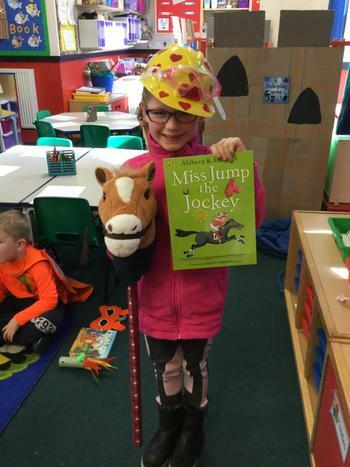 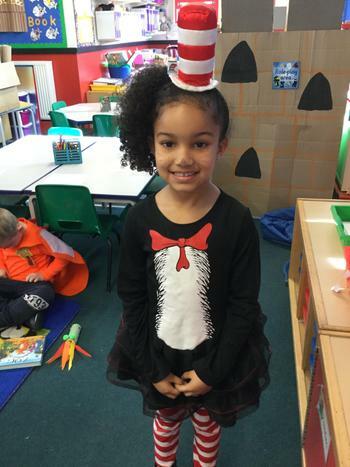 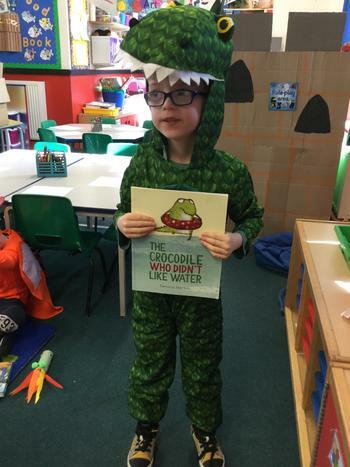 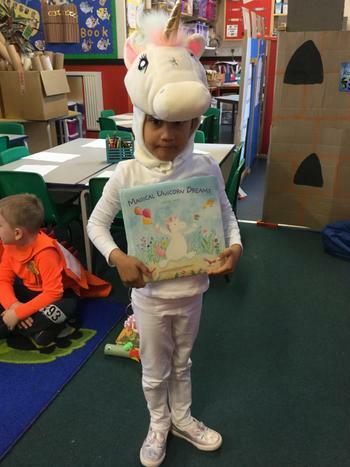 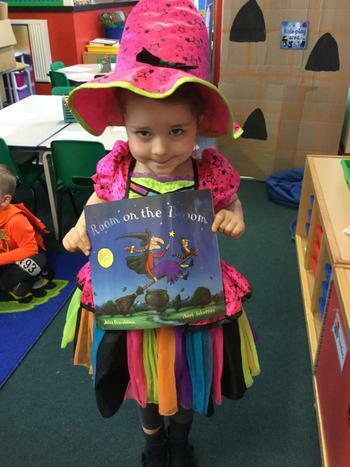 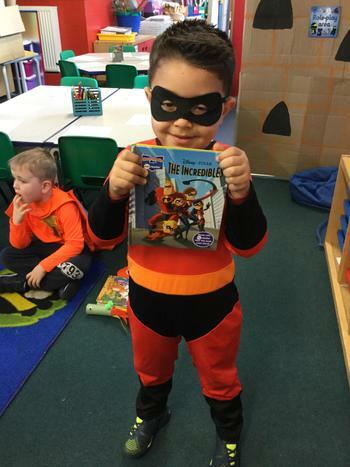 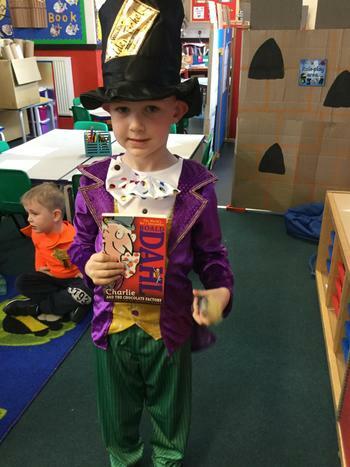 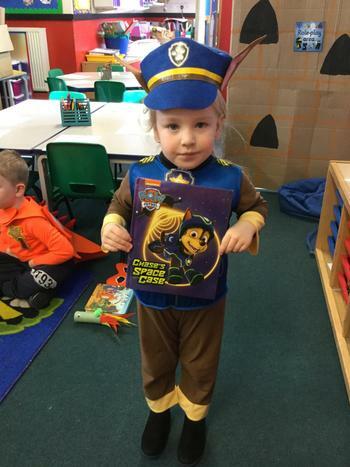 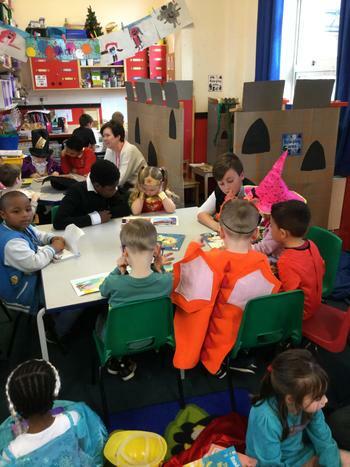 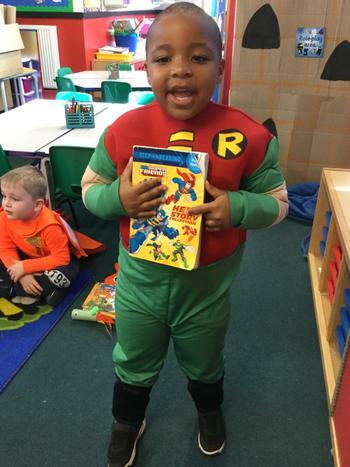 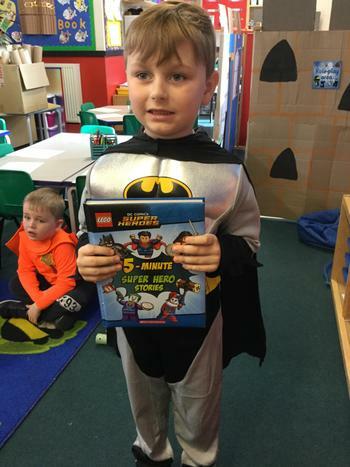 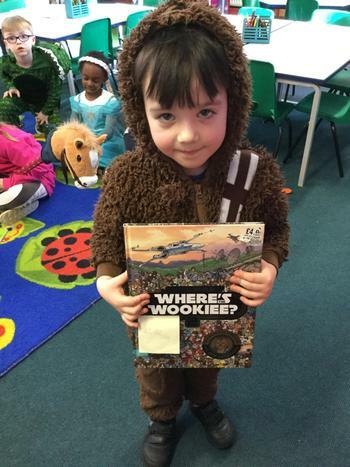 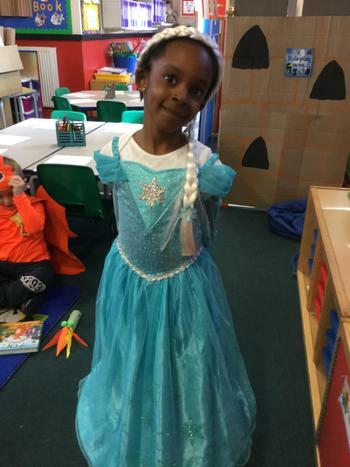 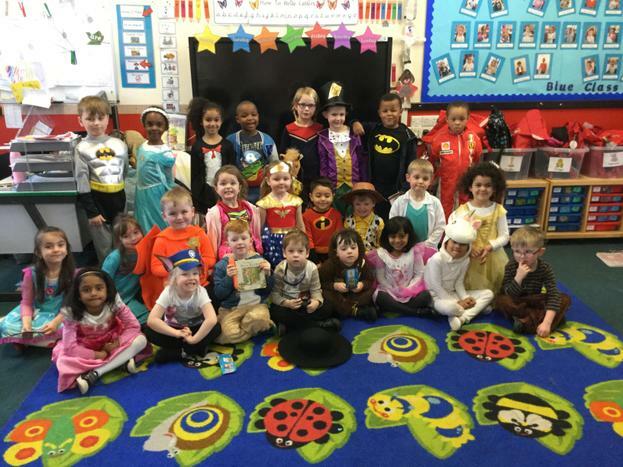 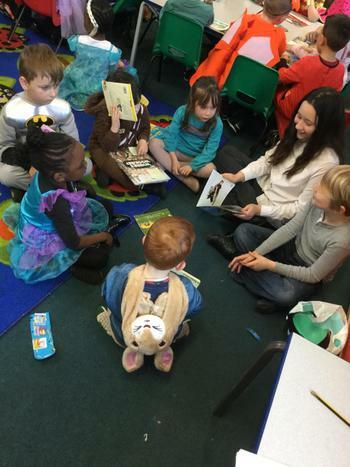 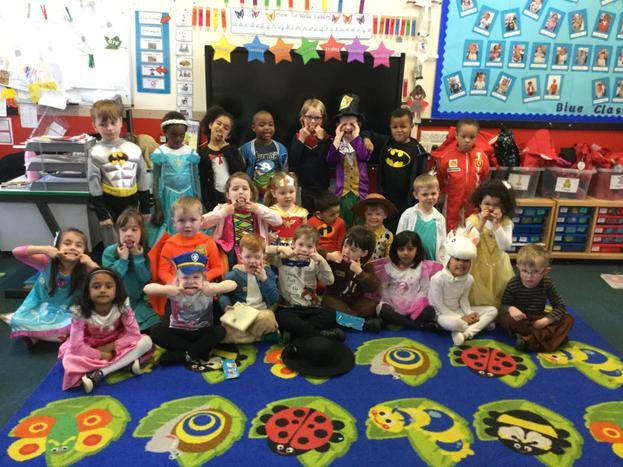 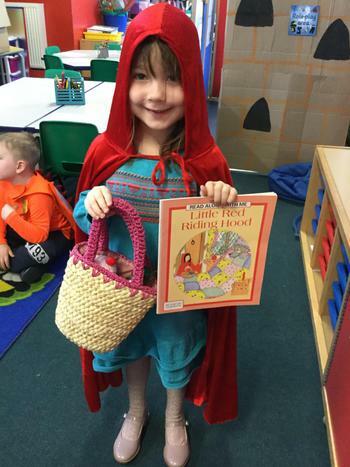 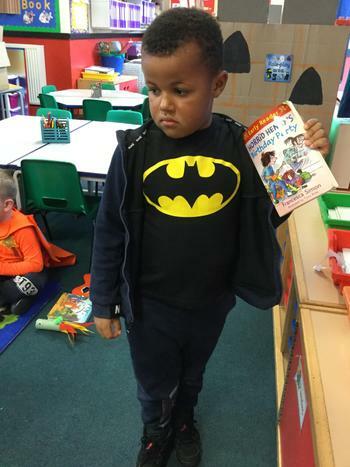 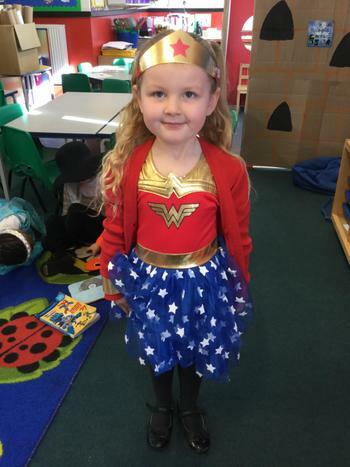 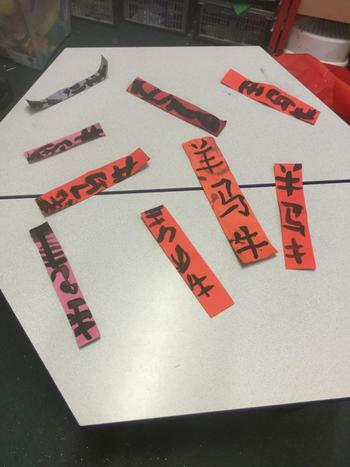 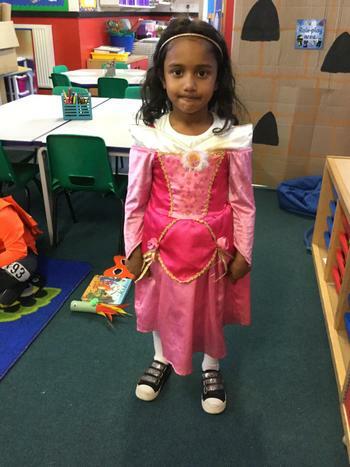 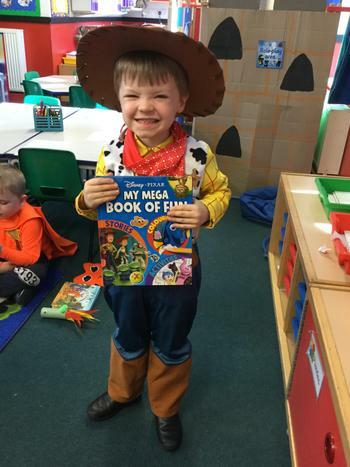 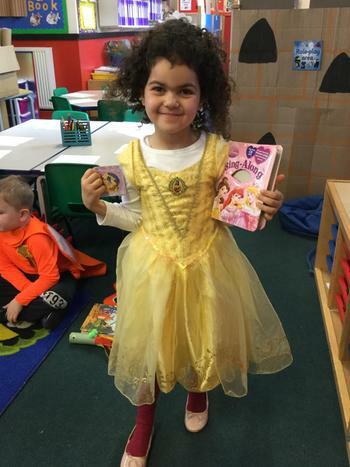 We have been celebrating world book day. 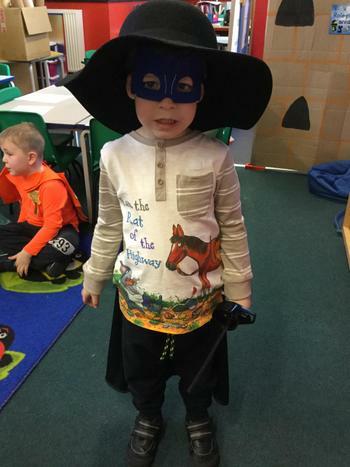 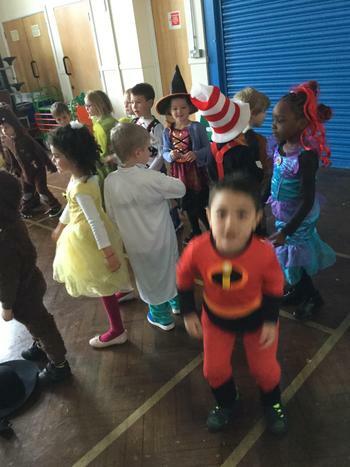 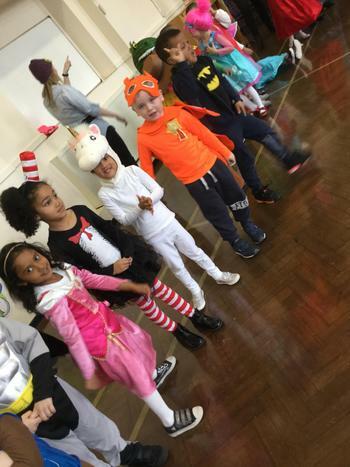 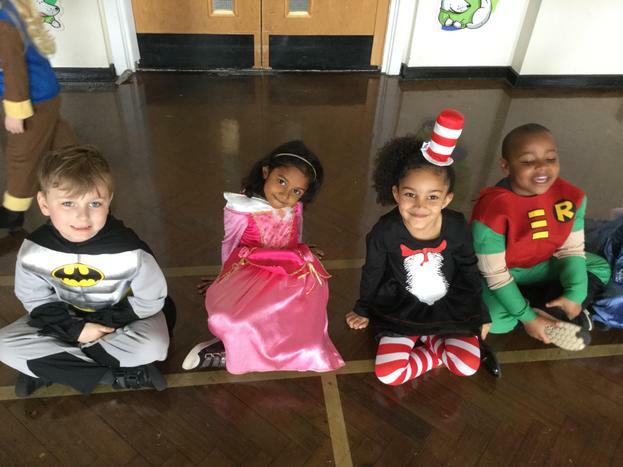 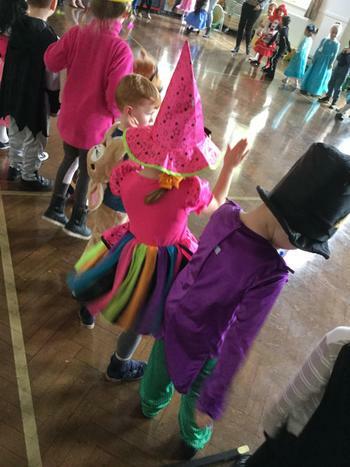 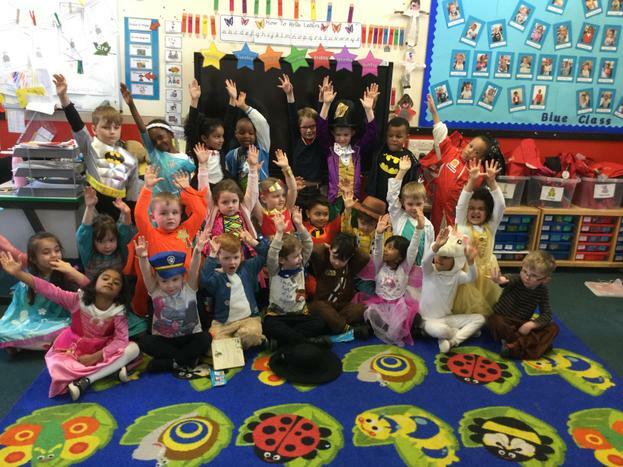 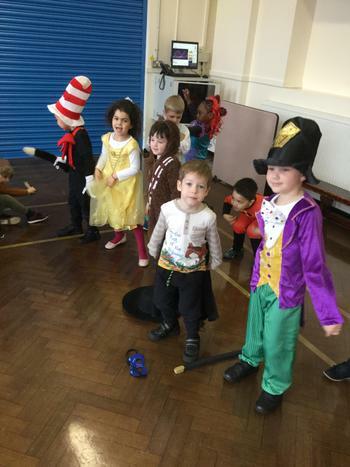 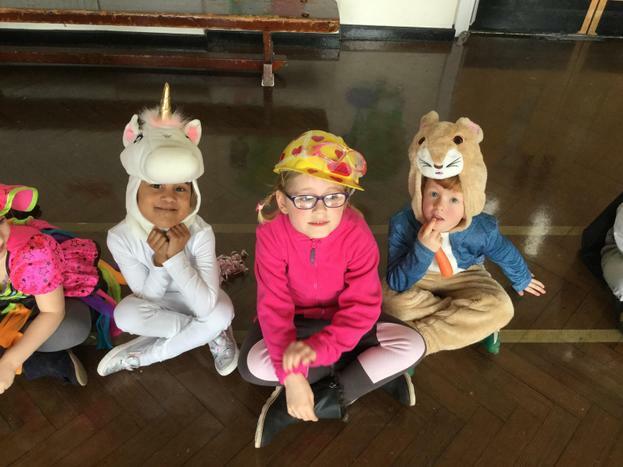 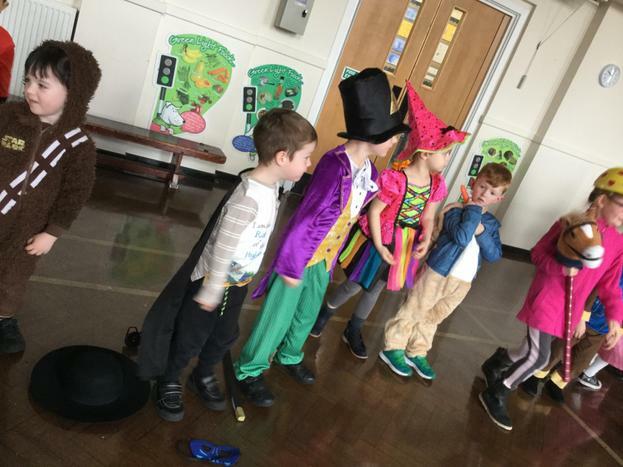 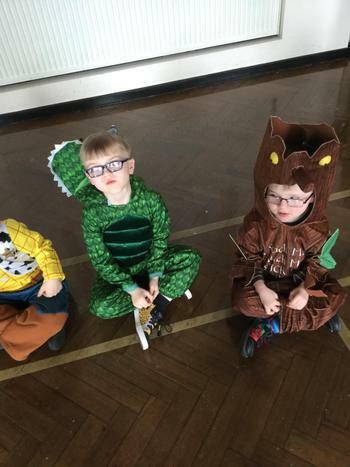 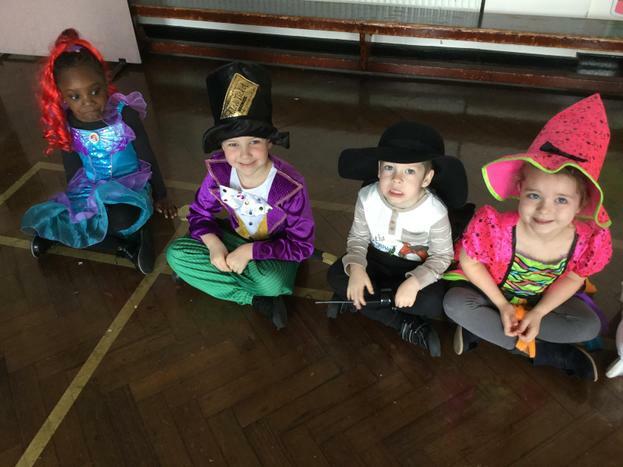 We dressed up as fantastic characters from a variety of books and had a parade to show them off. 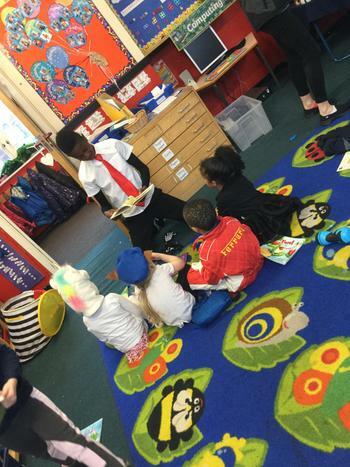 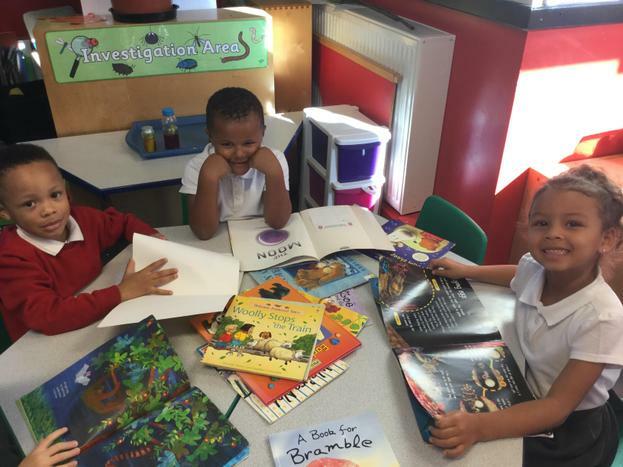 We were even lucky enough to have some year 6 children read with us! 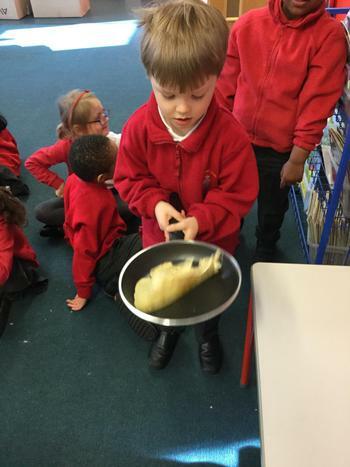 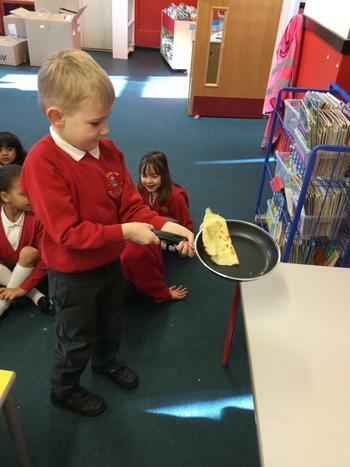 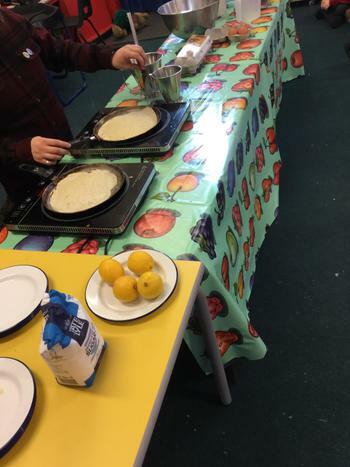 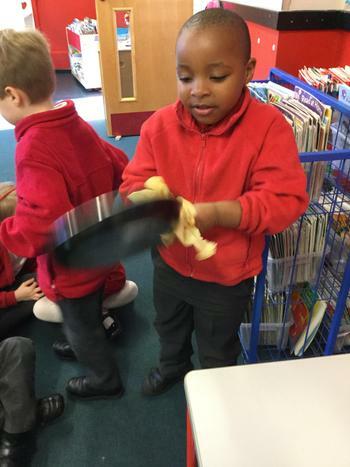 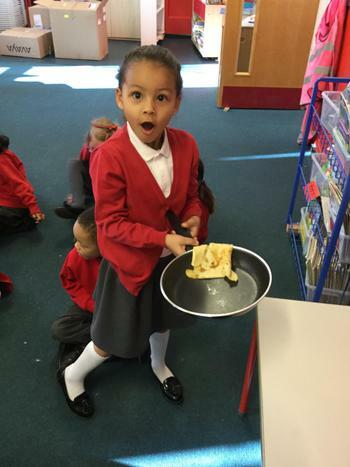 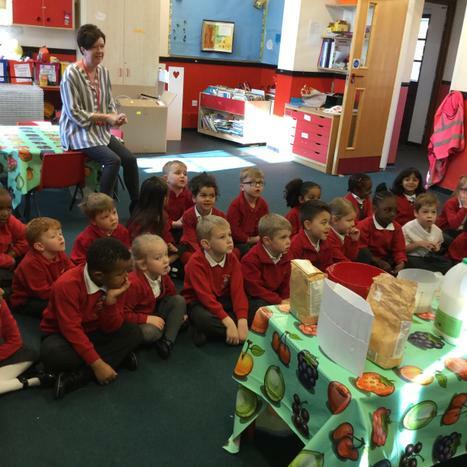 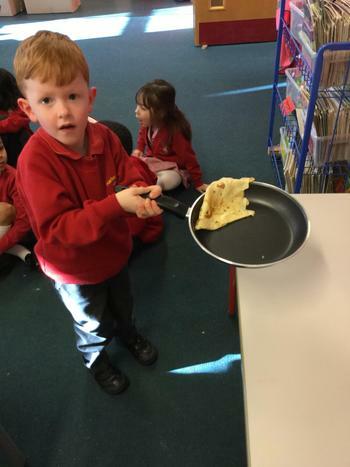 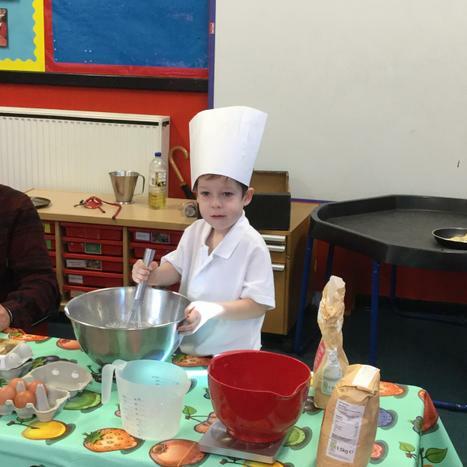 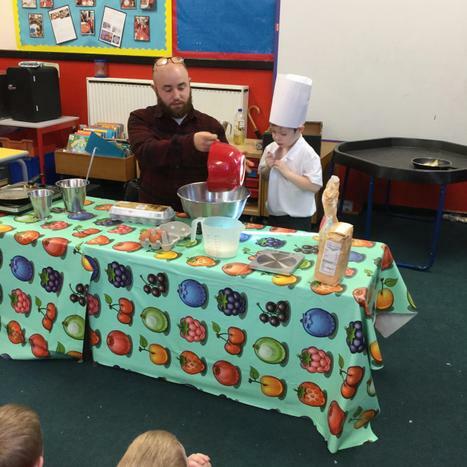 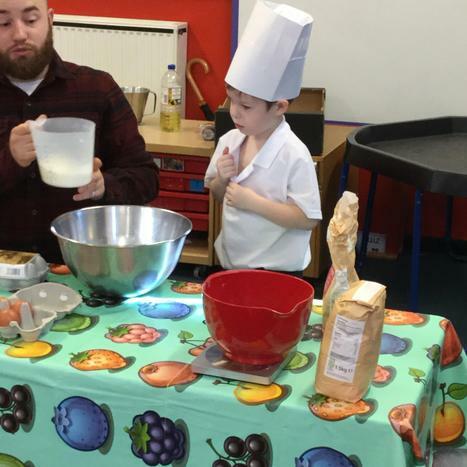 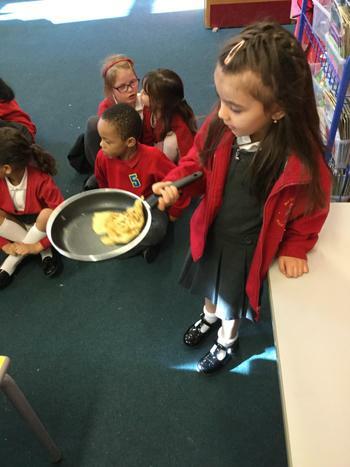 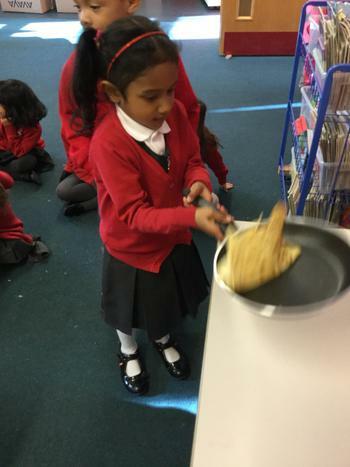 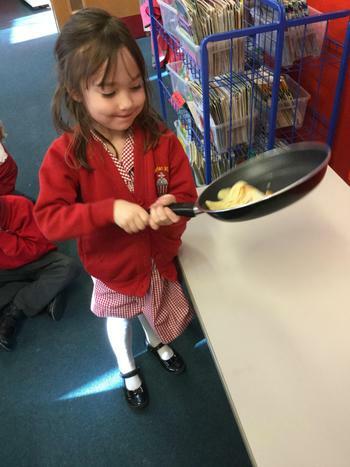 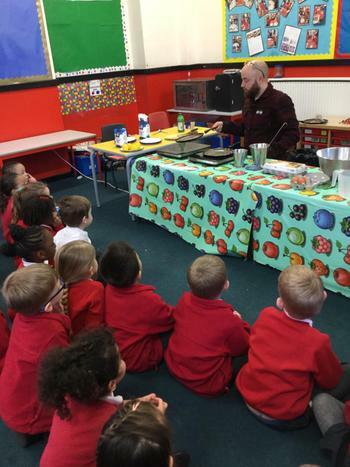 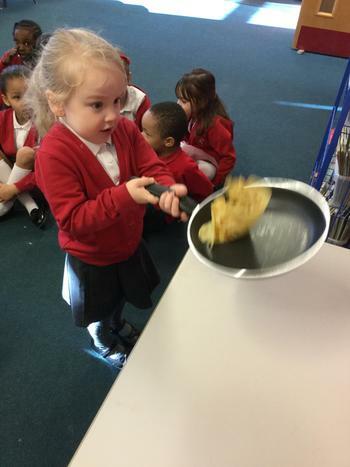 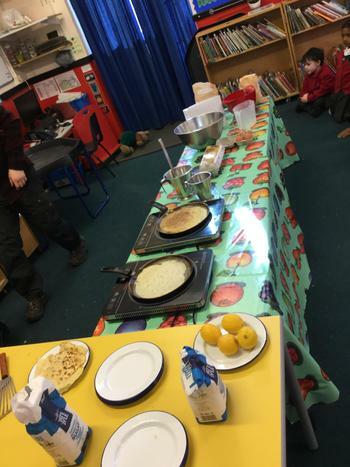 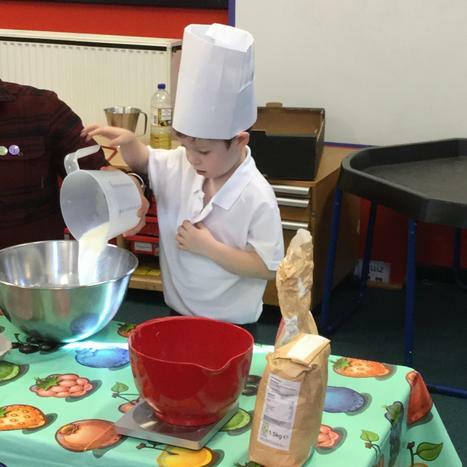 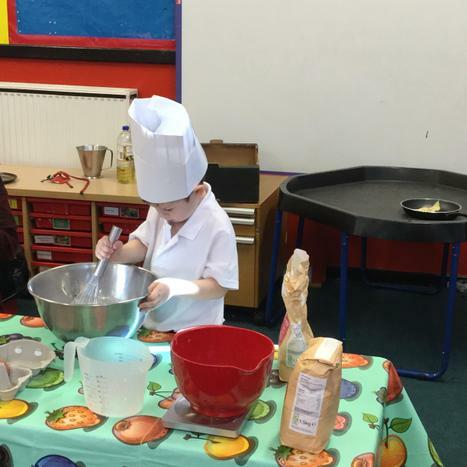 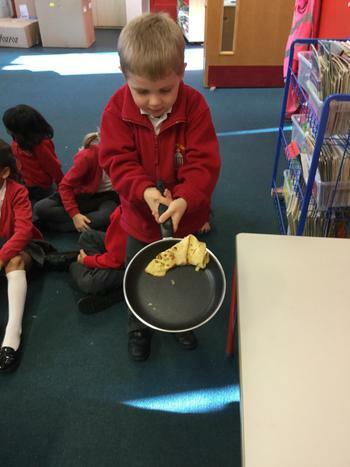 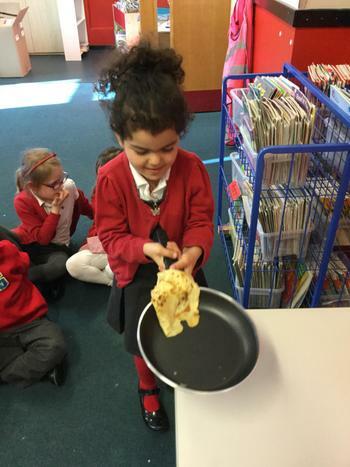 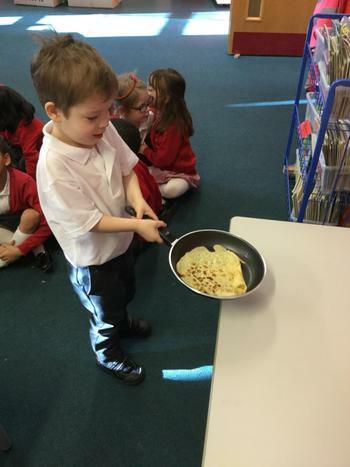 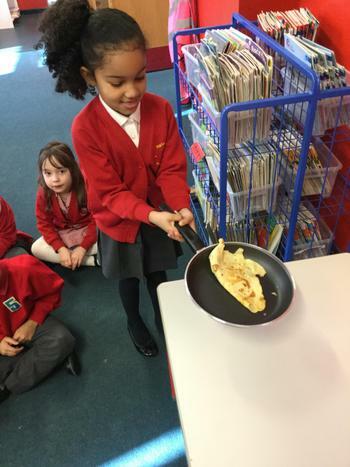 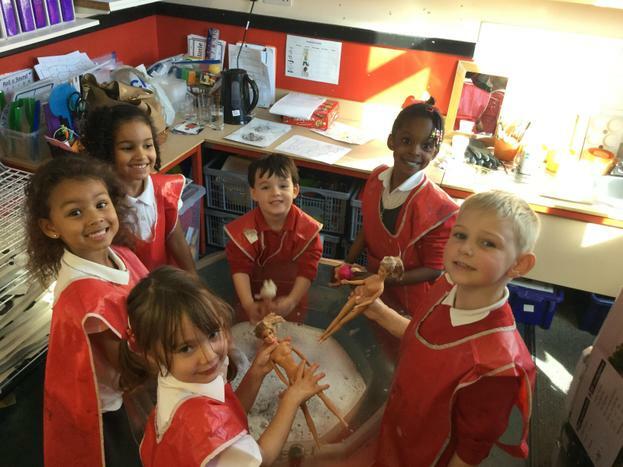 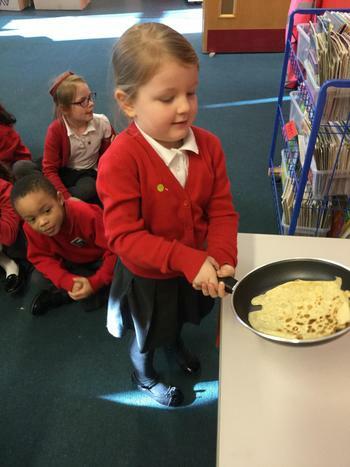 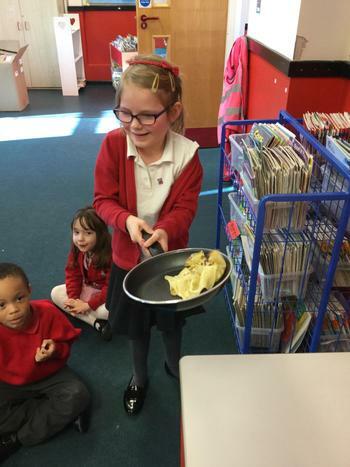 We helped to make some pancakes to celebrate shrove Tuesday. 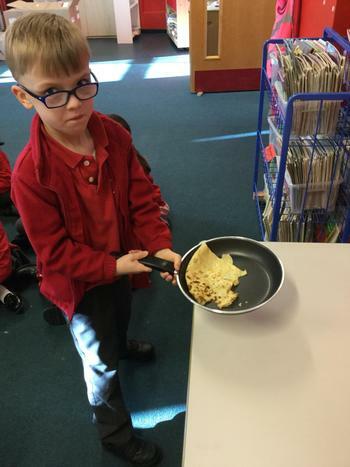 Did you have some pancakes? 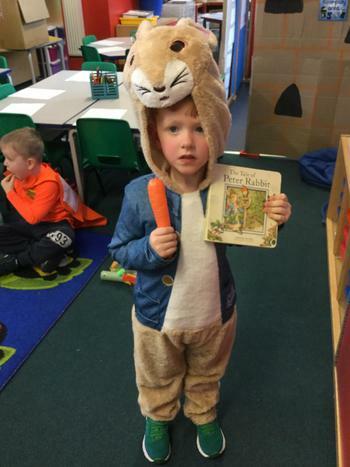 Merry Christmas! 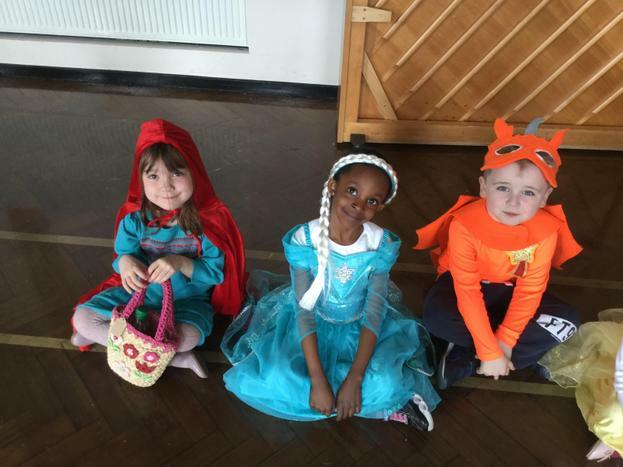 We had a brilliant time performing our nativity. 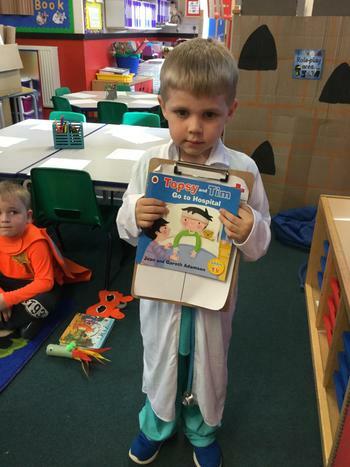 BREAKING NEWS! 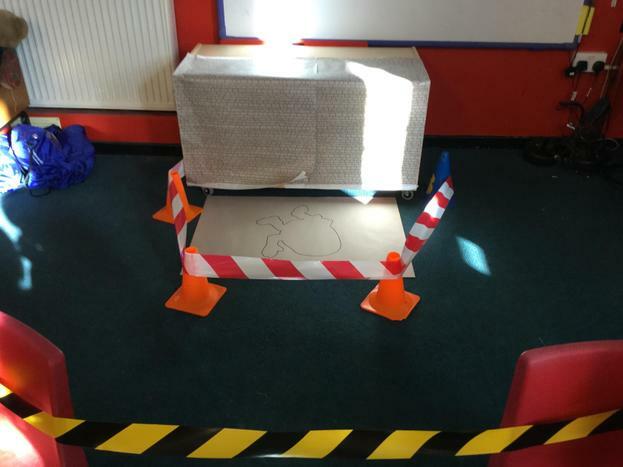 We found a crime scene at school today. 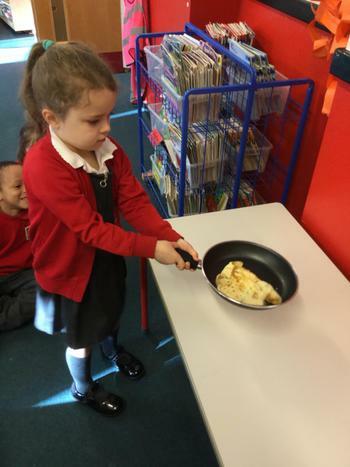 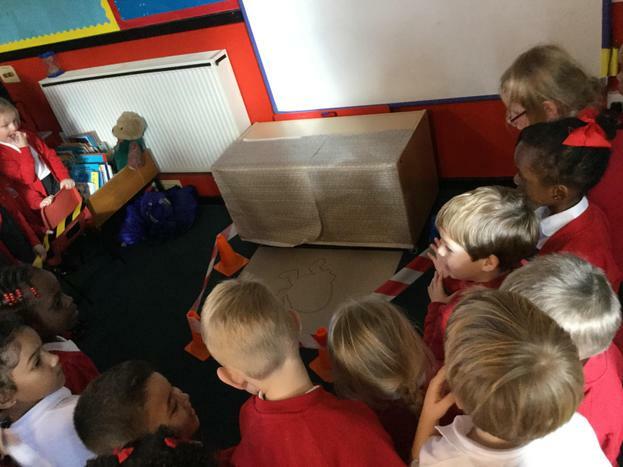 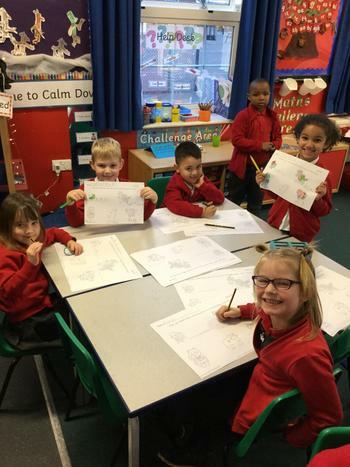 We suspect poor Humpty Dumpty has fallen off a wall! 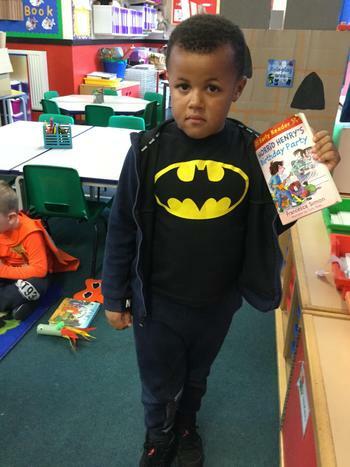 We are trying to find out what has happened and how we can help him. 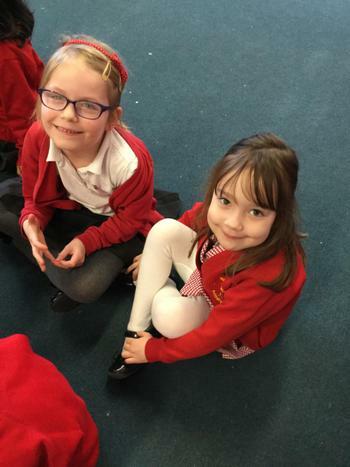 We have made lots of new friends!